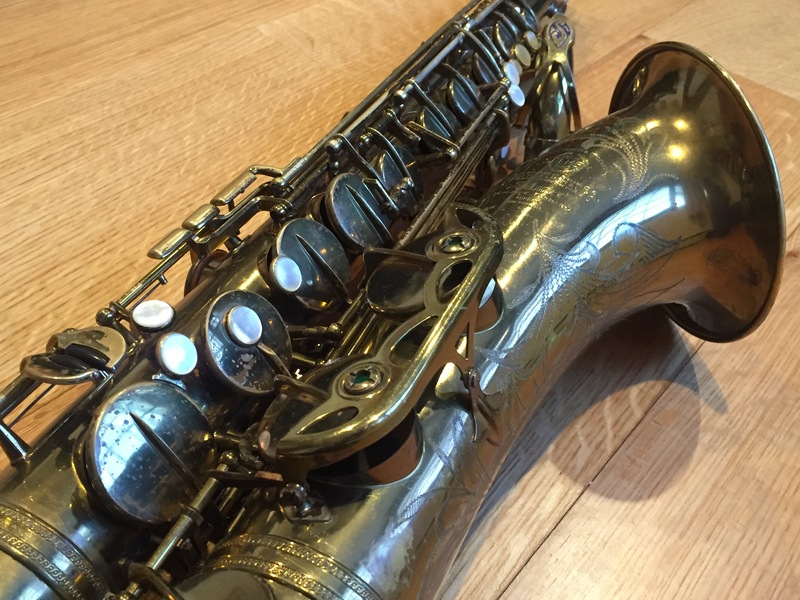 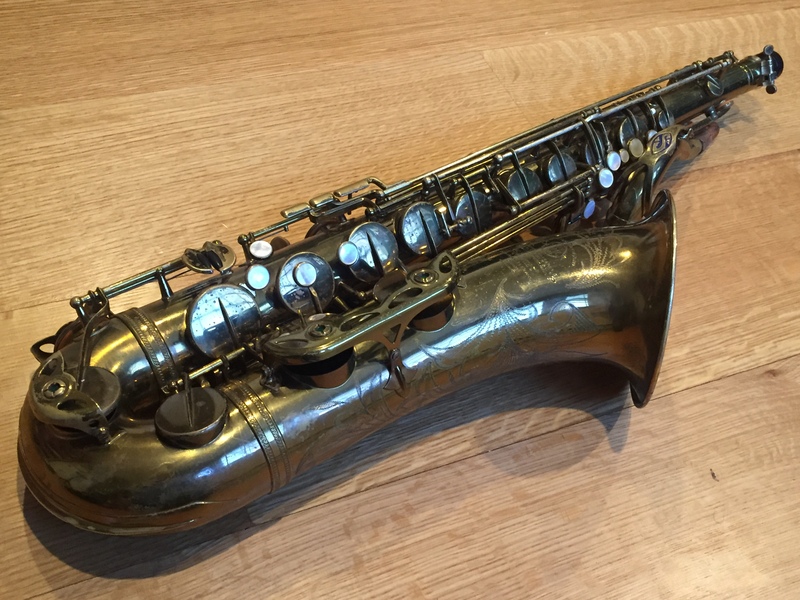 This a shockingly great sounding 1955 first model MK VI tenor. 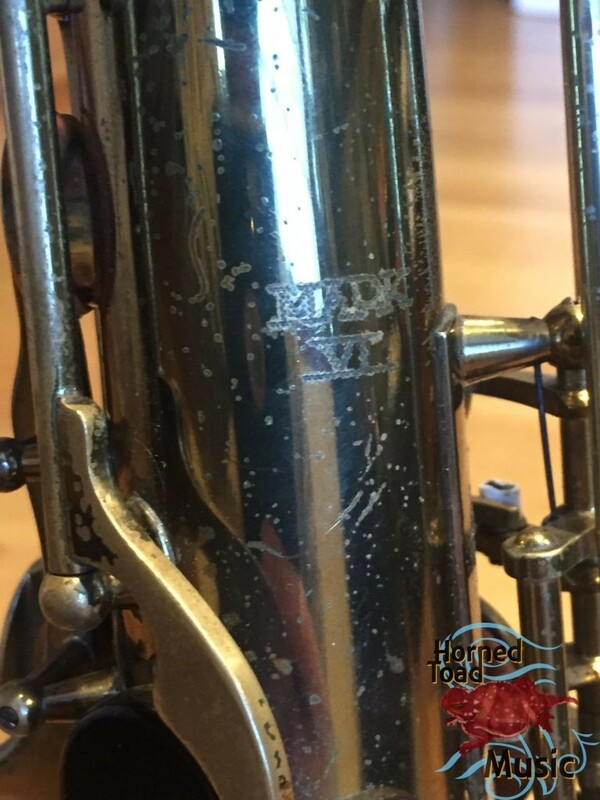 These very early M VI tenors have a wonderful depth and complexity of tone along with a very organic SBA-like voice. 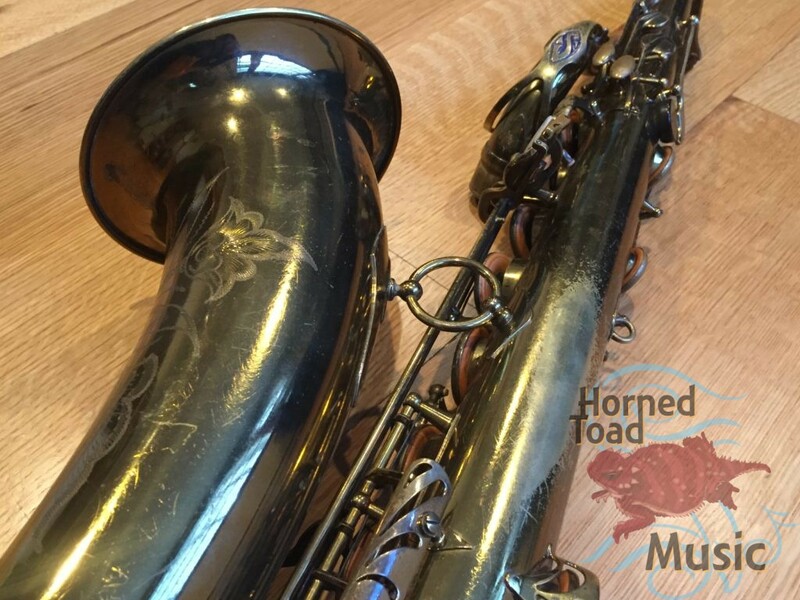 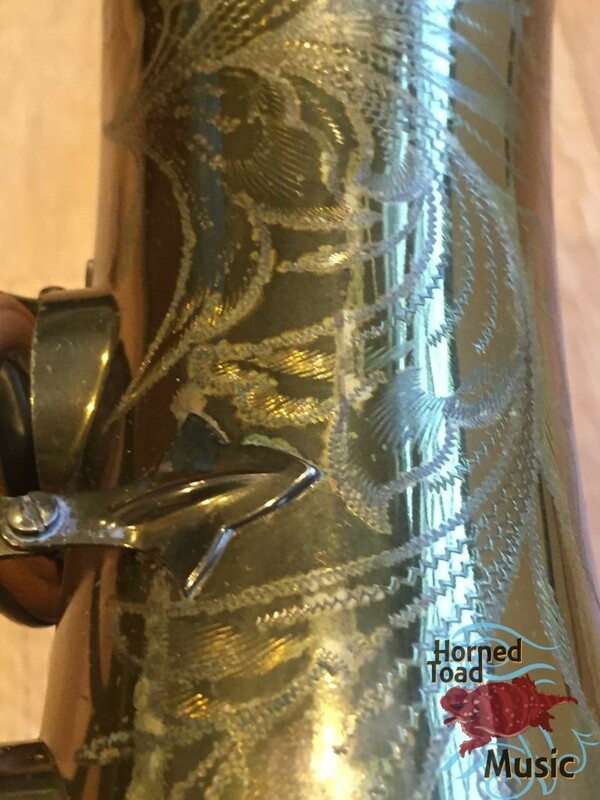 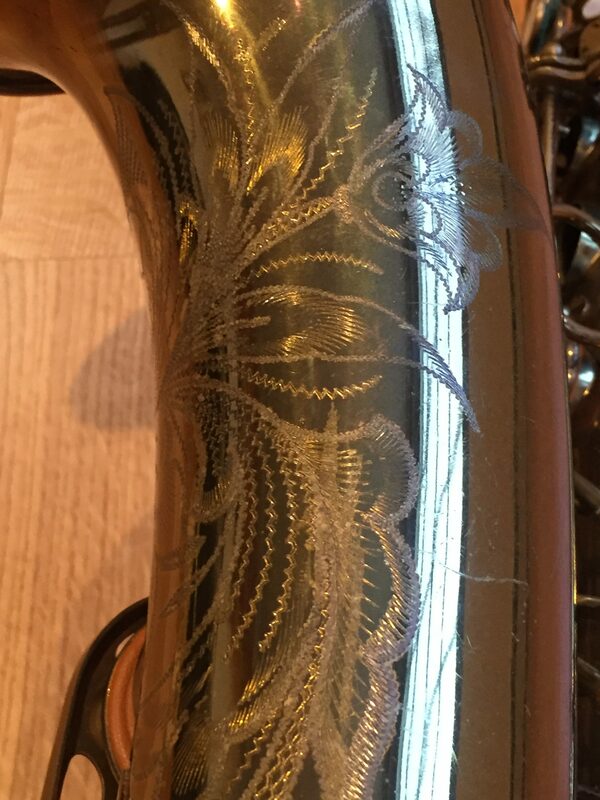 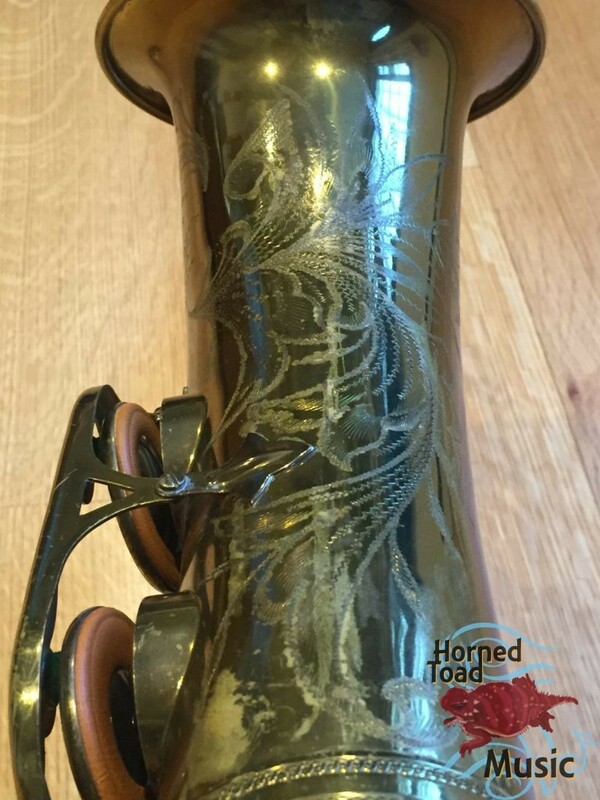 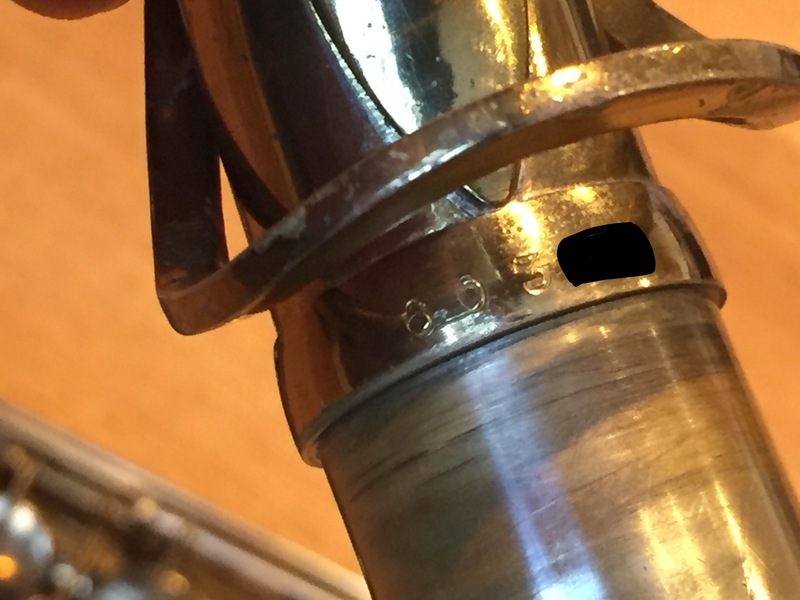 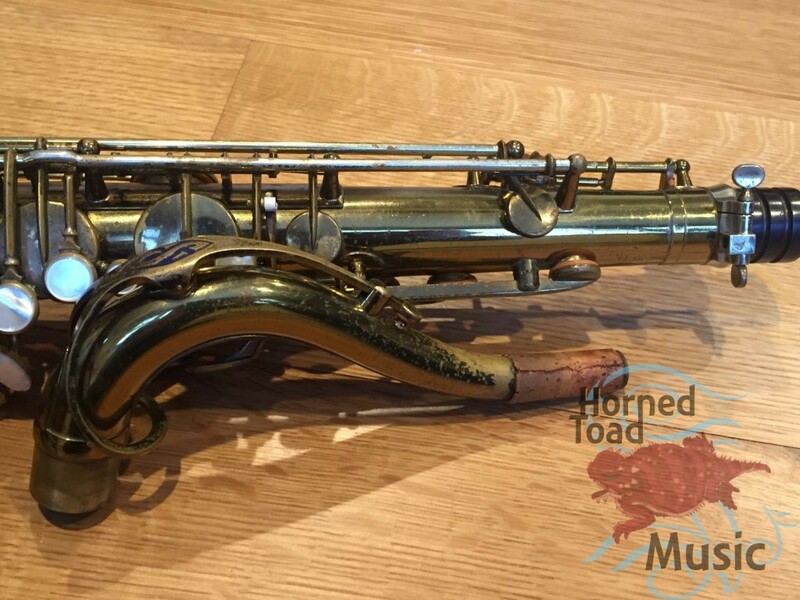 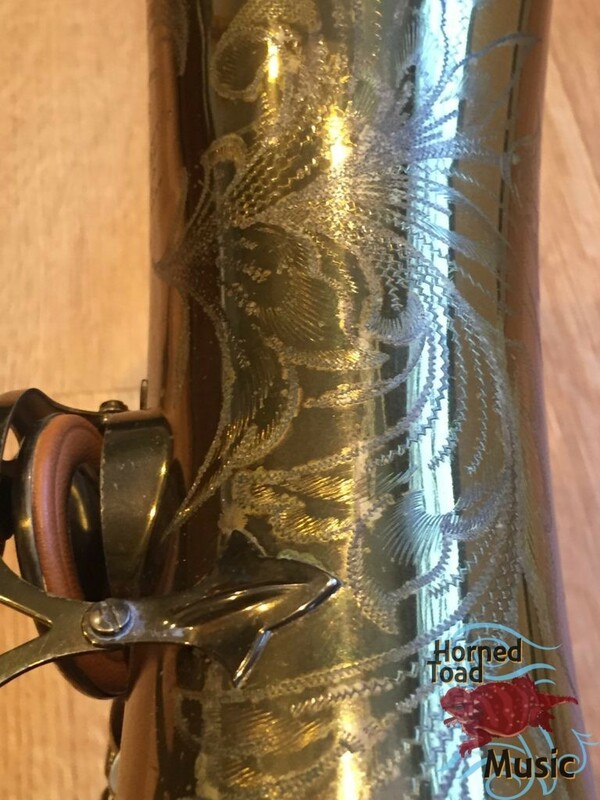 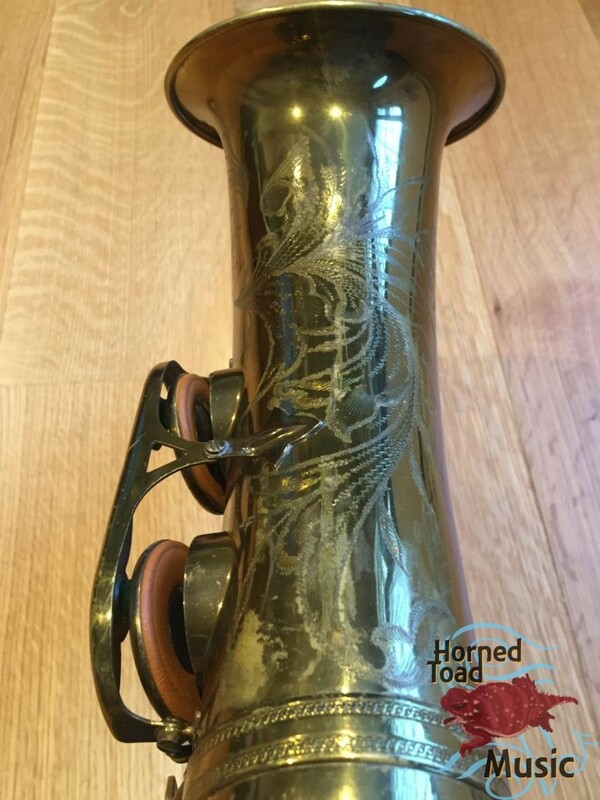 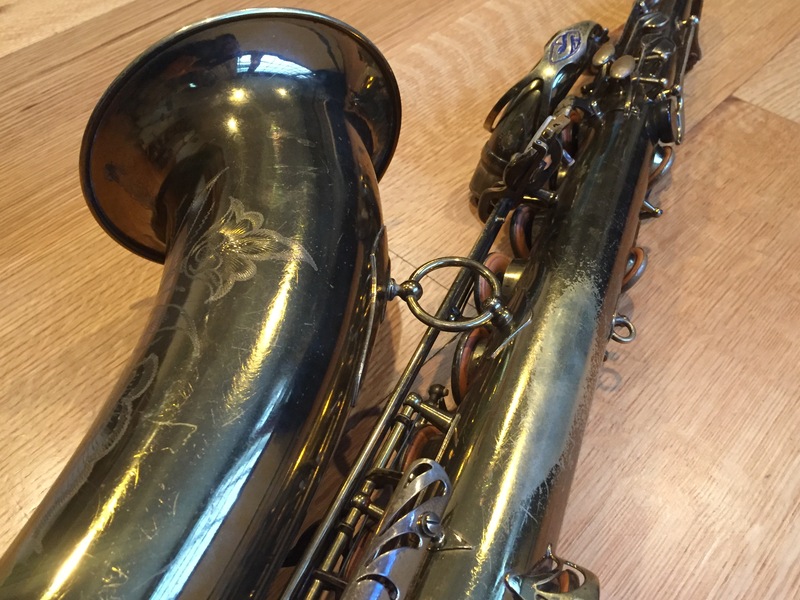 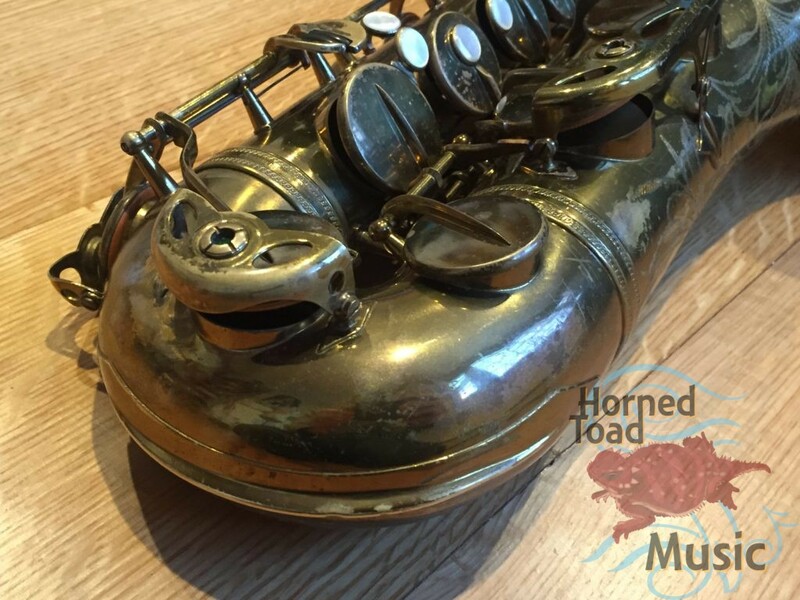 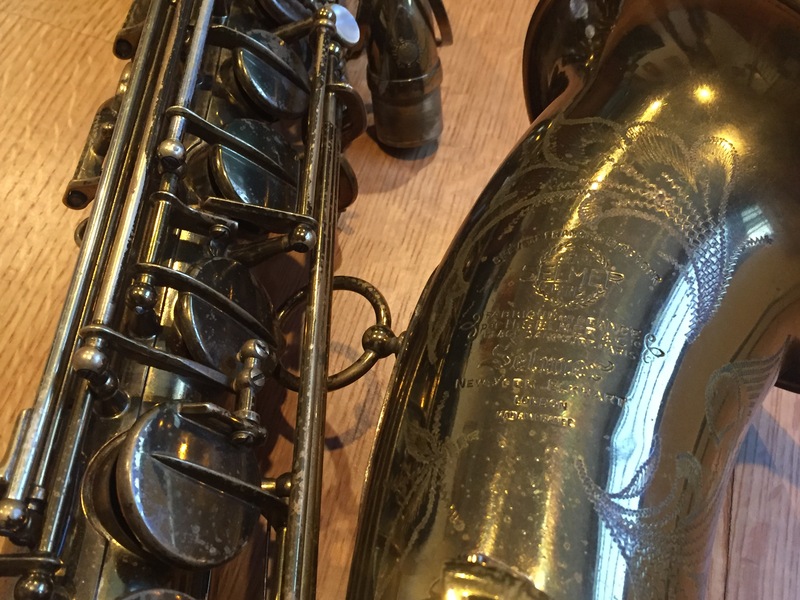 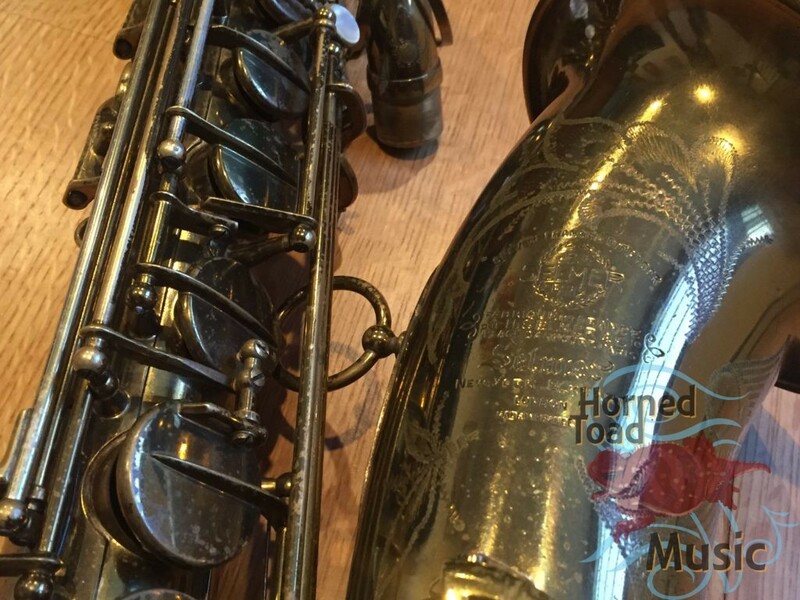 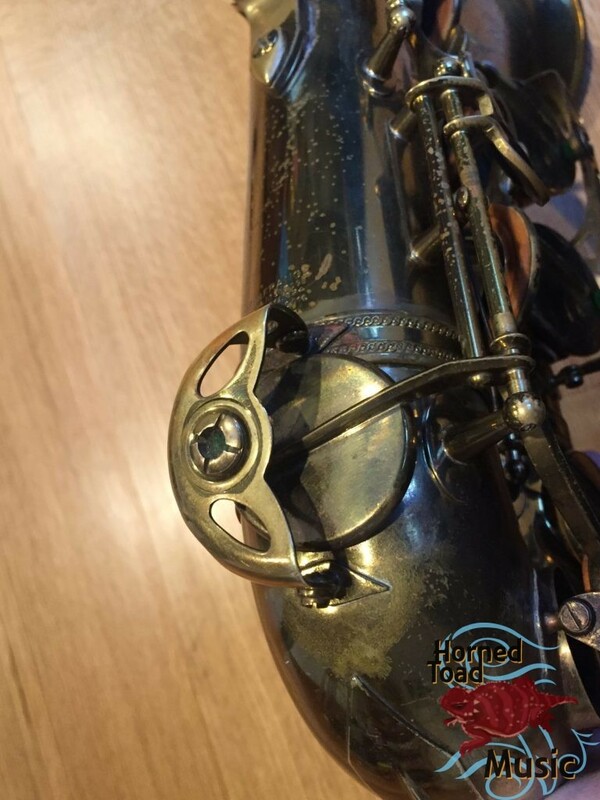 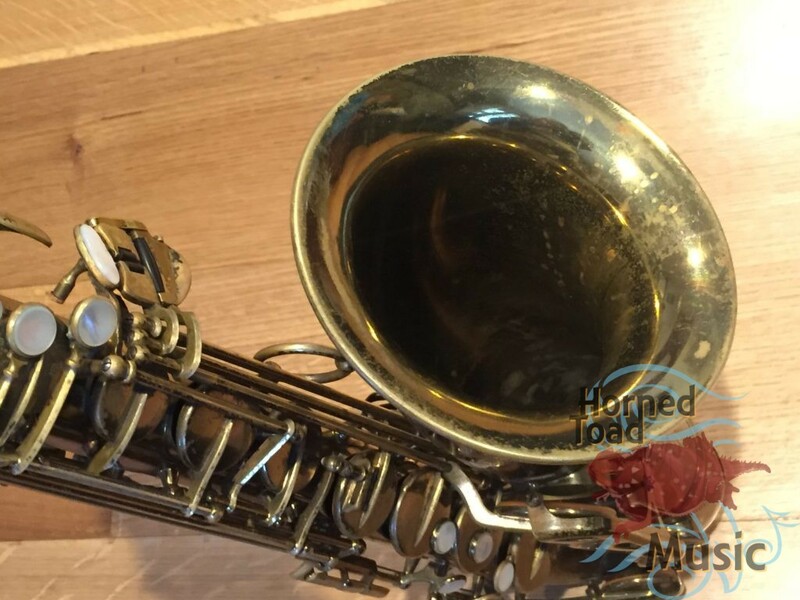 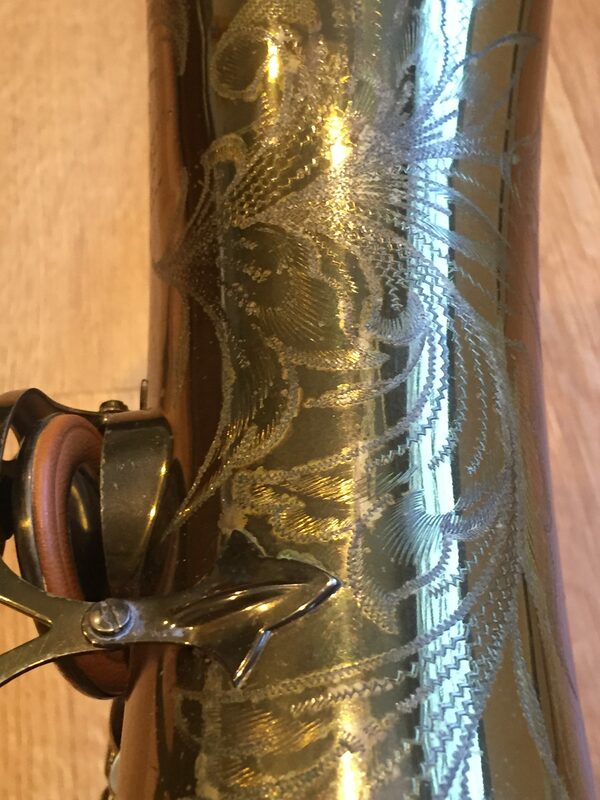 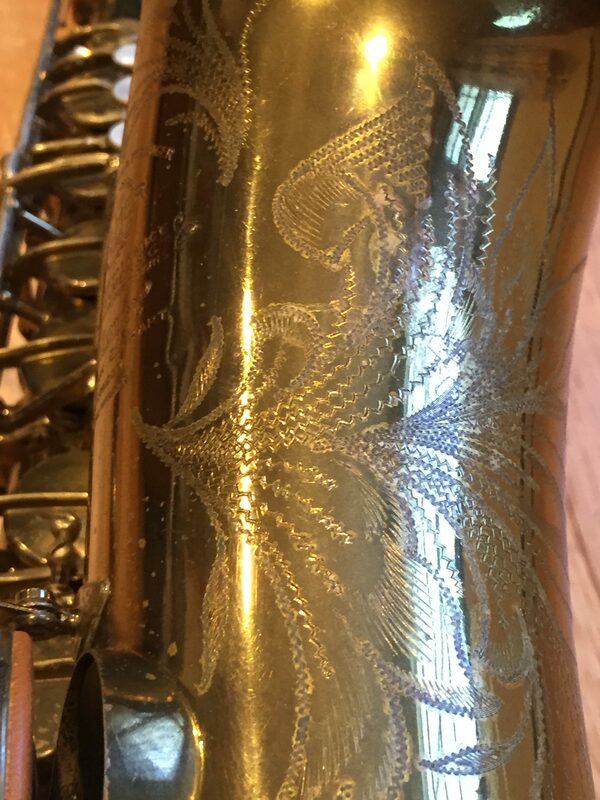 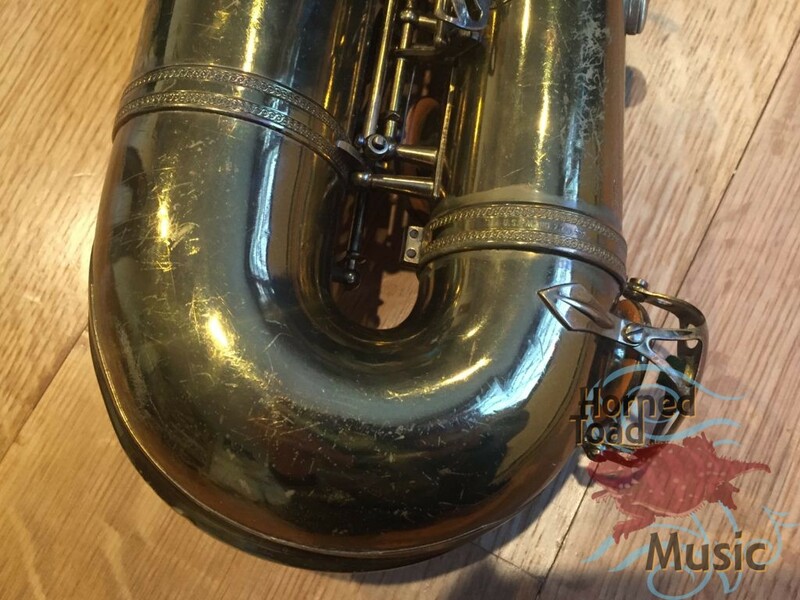 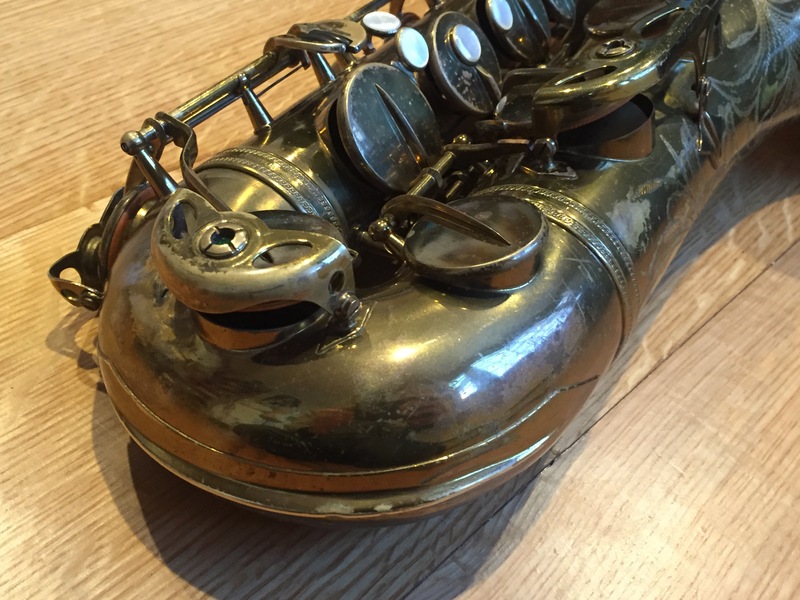 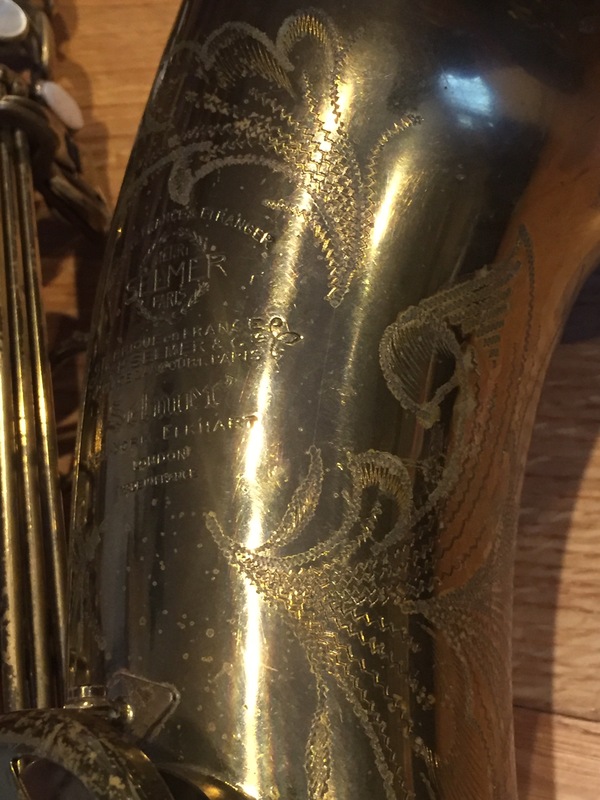 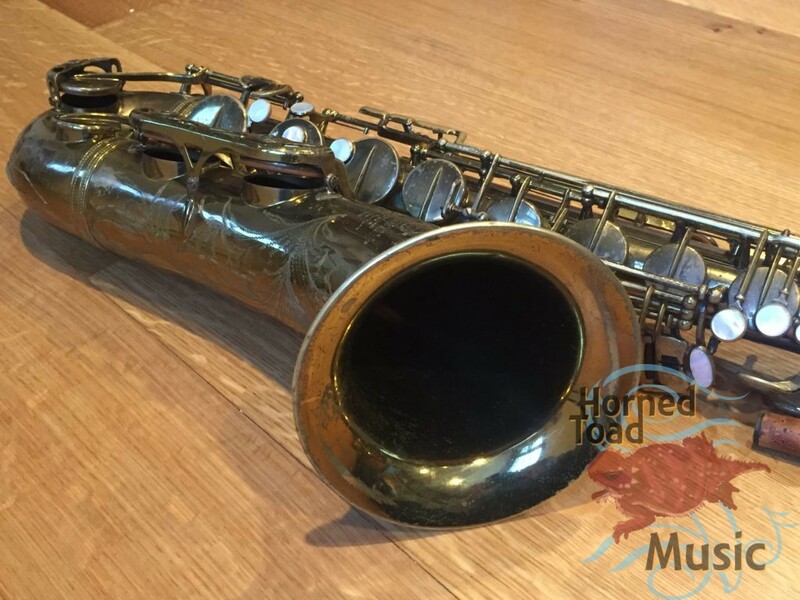 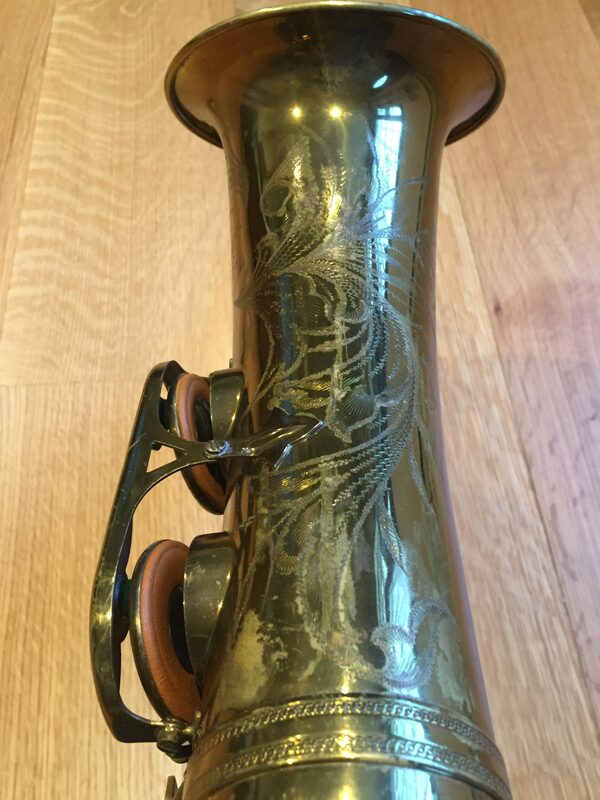 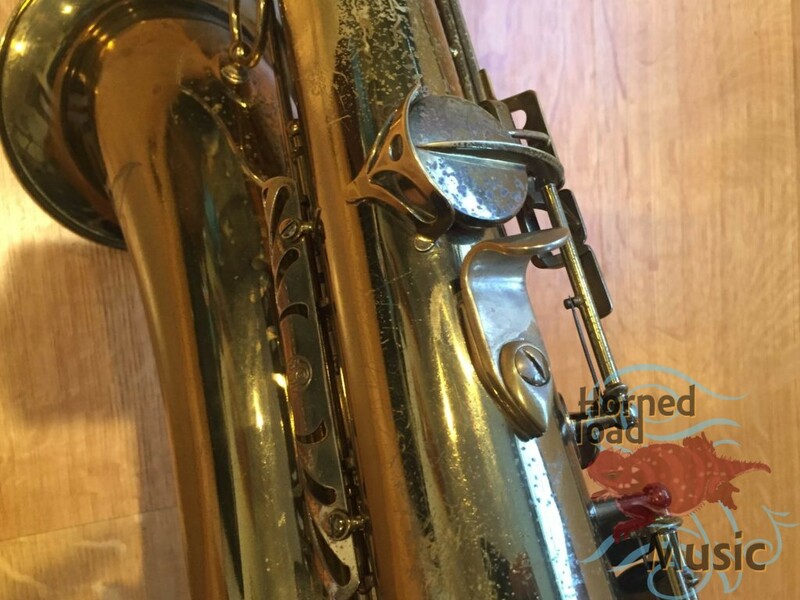 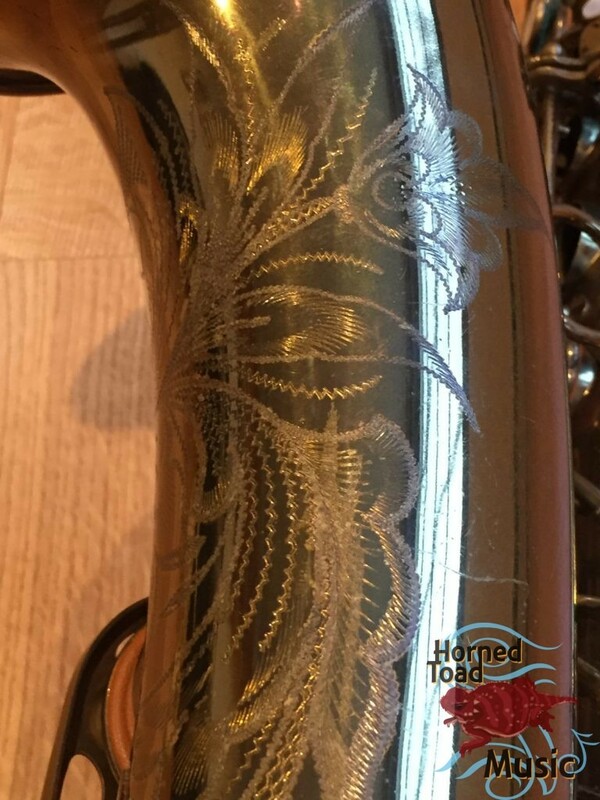 This horn was owned by a professional player and has been well used. 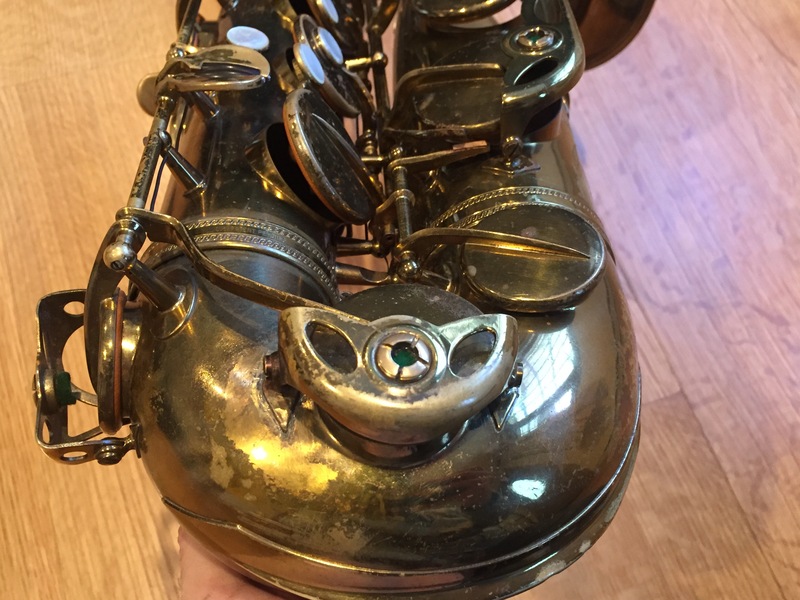 it has some bumps and bruises; the bell flare repairs and some resolders. 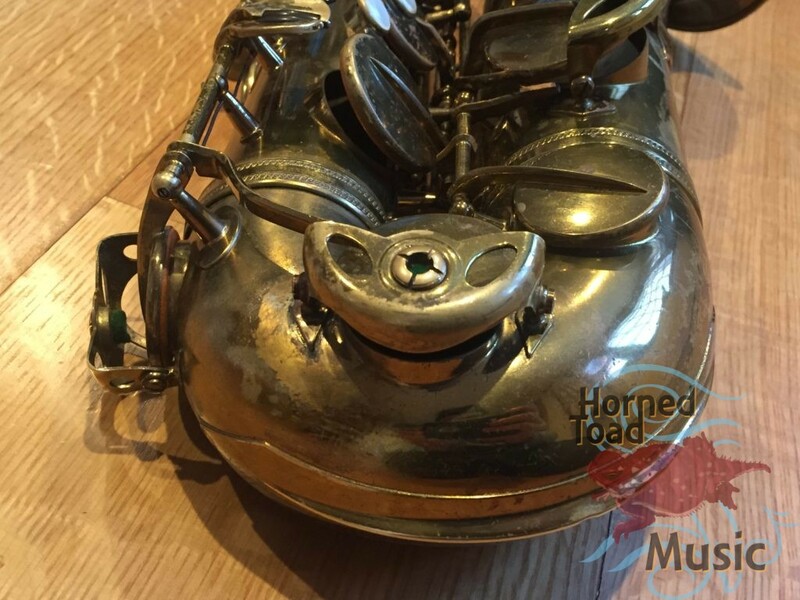 None of these insults is particularly serious but they do leave their cosmetic history. 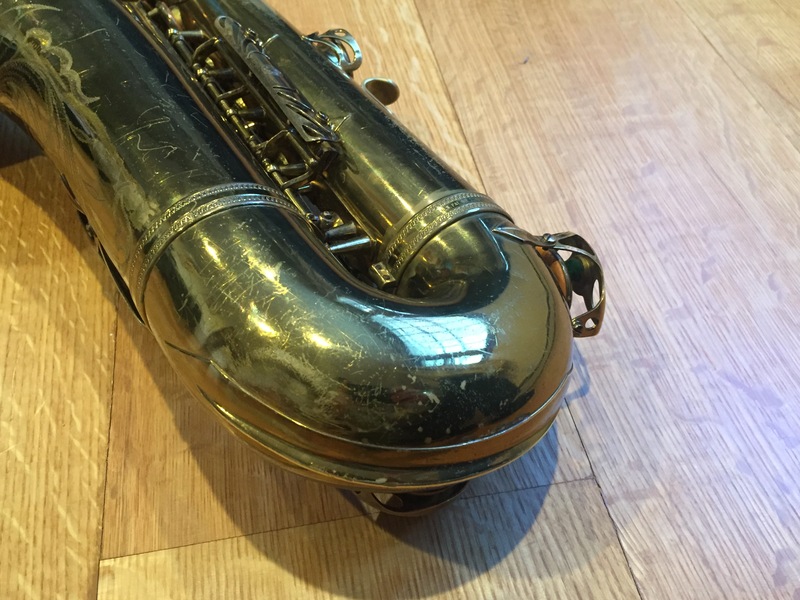 The instrument itself has a phenomenal sound, the low end is vast, deep and resonant. The middle speaks with clarity and presence and the high and altissimo literally jump out of this horn with a thickness that puts my 87xxx tenor in second class. 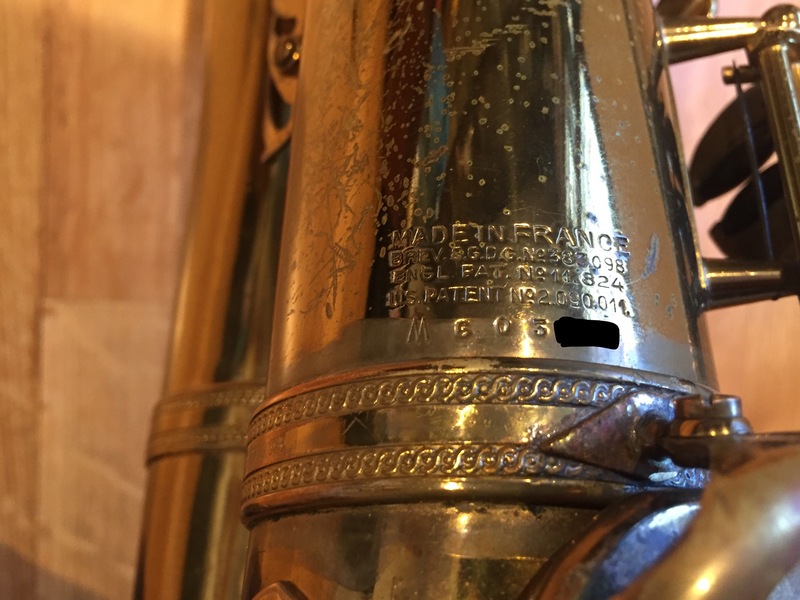 The intonation is wonderful as far as my mouthpieces are concerned. 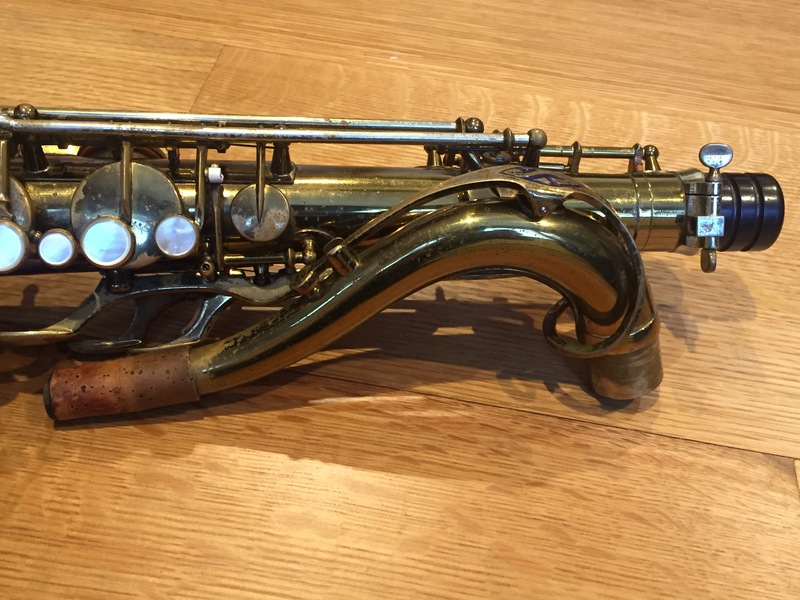 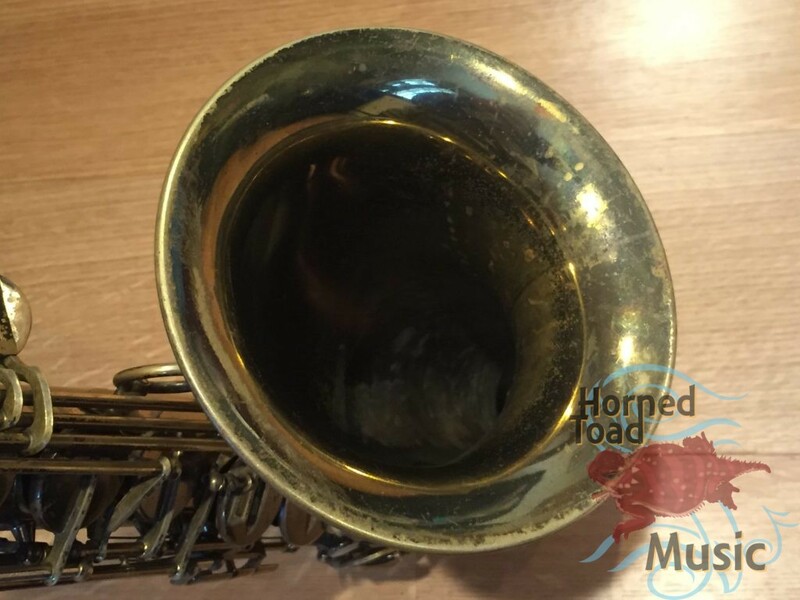 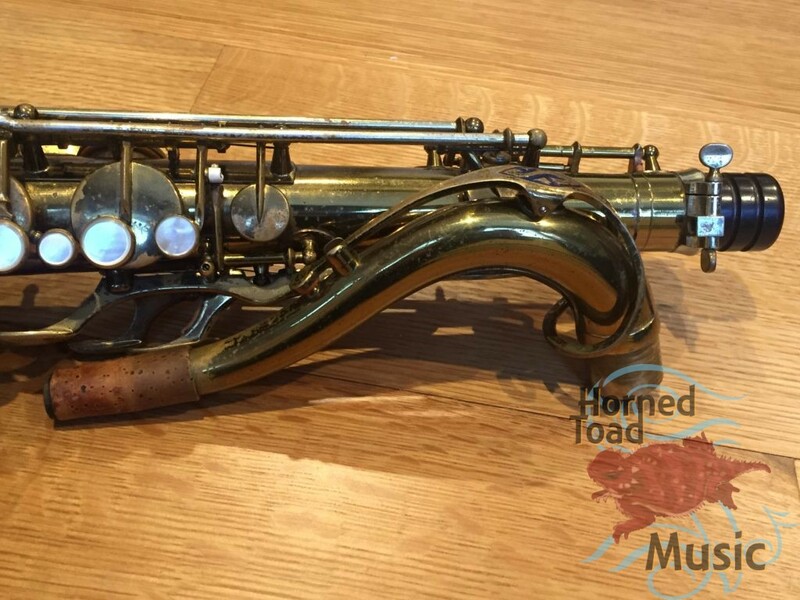 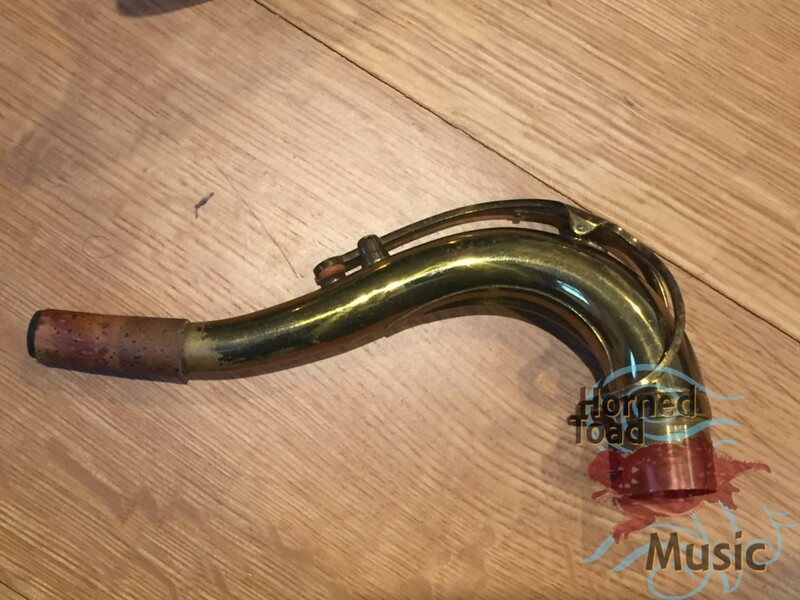 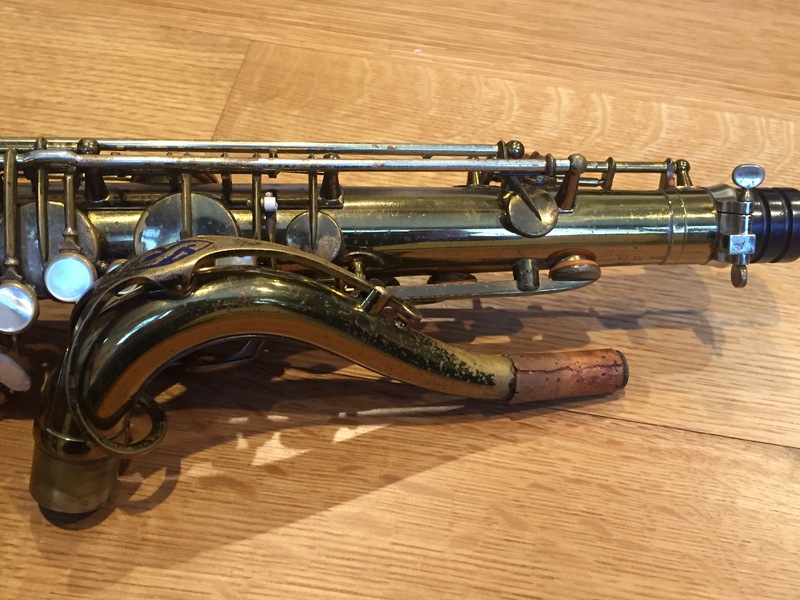 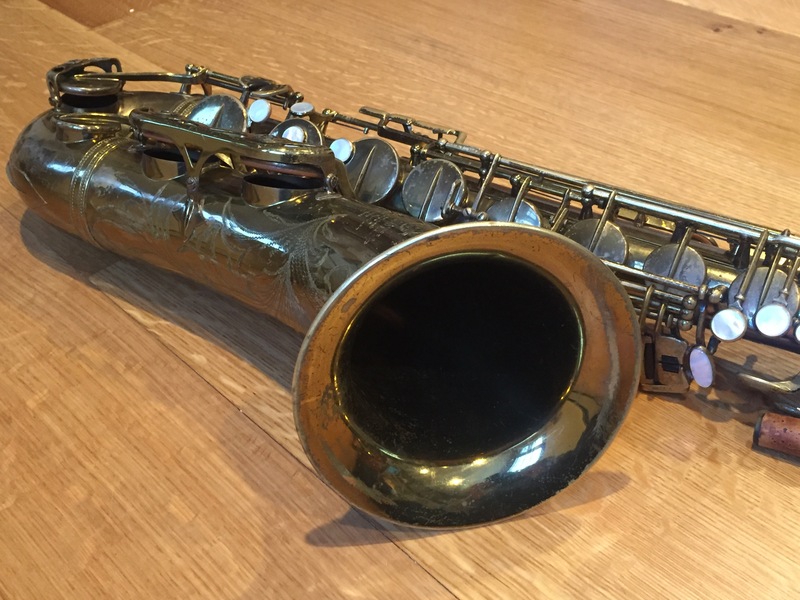 I had a horn that was similar to this in the past which was a 64xxx European, but this still has a sound closer to the 56xxx mint horn I had years ago. All round, it is not a museum piece but it is structurally sound and unbelievable for tone and complexity. 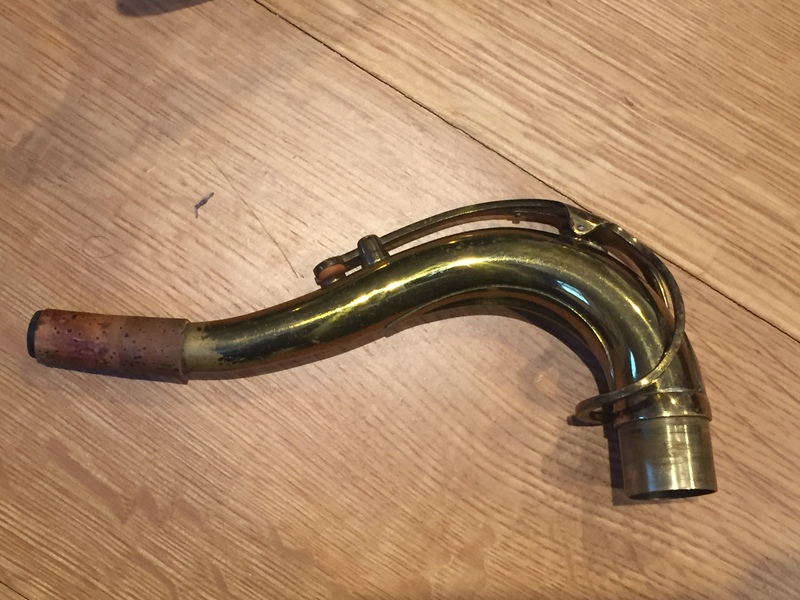 This horn is playing but at the moment needs some pad adjustment (which I may do). 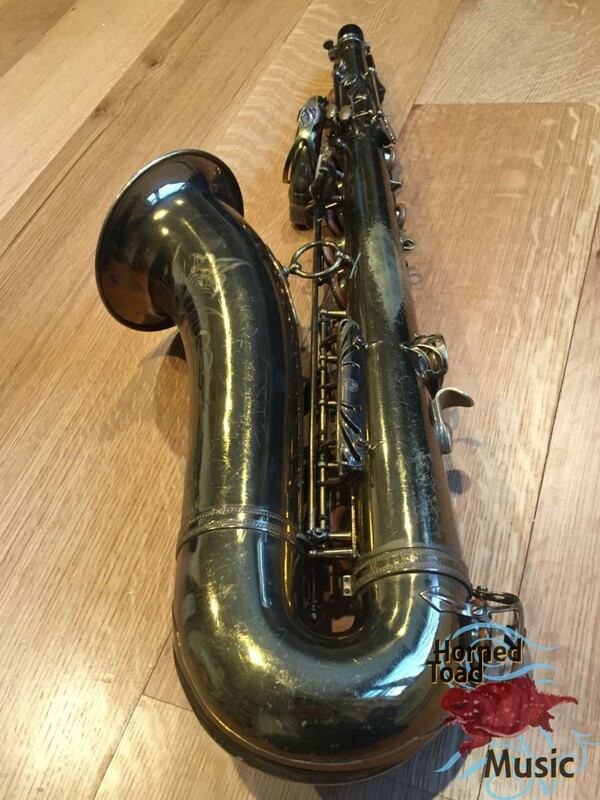 In the long tern it will need either an overhaul or at least some more significant regulation work as it is a bit sloppy and not really set up as it should be, yet it IS playing and sounds great.